Home » Round Up » Galentine’s Day Gifts For Under $20! 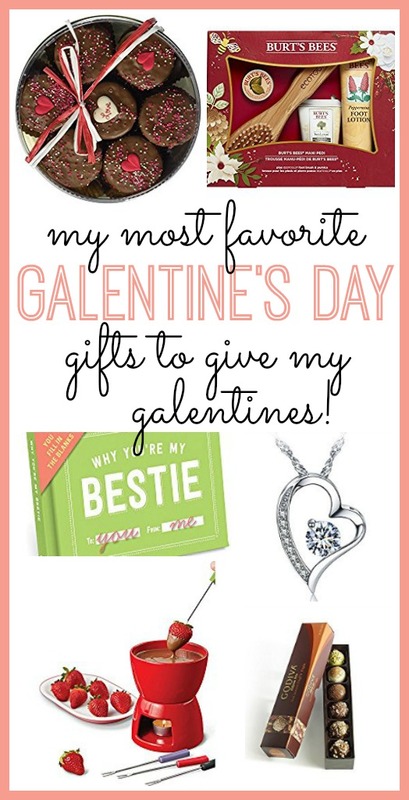 Valentine’s Day is so much fun, but have you ever heard of Galentine’s Day? It basically the same as Valentine’s Day, but specifically for celebrating the special girl friends in your life. Thankfully, I’m an Amazon junkie, and I have yet to be let down. Check out these great gift ideas I found for less than twenty bucks! How pretty is this Heart Pendant Necklace? So perfect! Doesn’t this Mani Pedi gift set look so nice? Valentine’s Day is supposed to be a little cheesy, right? I think this tumbler fits the bill! Ohh yes, hot chocolate always wins! Here’s another cheesy gift, but I love the idea! It’s so nice to tell a friend how much they mean to you! Wow! Did you know that you can order treats like these Milk Chocolate Covered Oreo’s from Amazon? Yummy! How cute is this s’more’s maker?? What a fun idea! Since we’re on the subject of chocolate,who doesn’t love Godiva chocolate? !